Rilakkuma and Kiiroitori are buried under the sand while relaxing at the beach and now they are sun burnt! Is this one of Korilakkuma's pranks? A photo of the actual item! Look at how kawaii this summer vacation theme is. 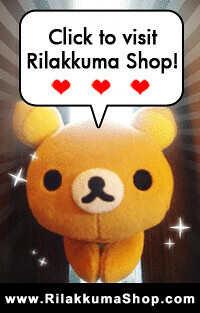 Rilakkuma is more tanned than usual! How cute is this idea? San-X even added a small crab on Rilakkuma. 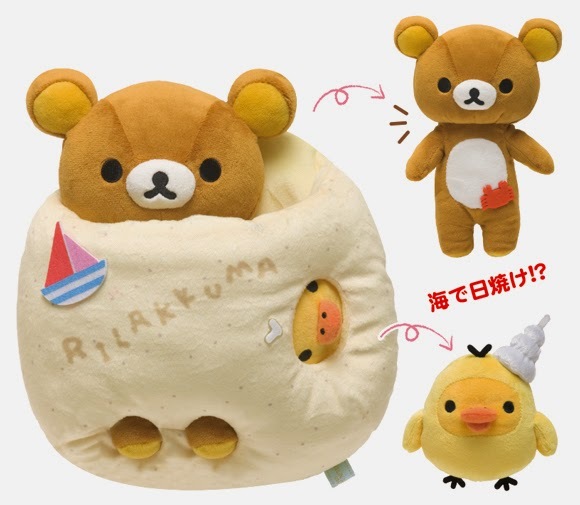 It seems that this sun-burnt Rilakkuma is slightly smaller than Rilakkuma S size plush. Is that a seashell on Kiiroitori's head? Kiiroitori got his face burnt and it looks like he got mask on. It is a pity that Korilakkuma is not part of the scene set. I would love to see Korilakkuma giggling at the side of the set. 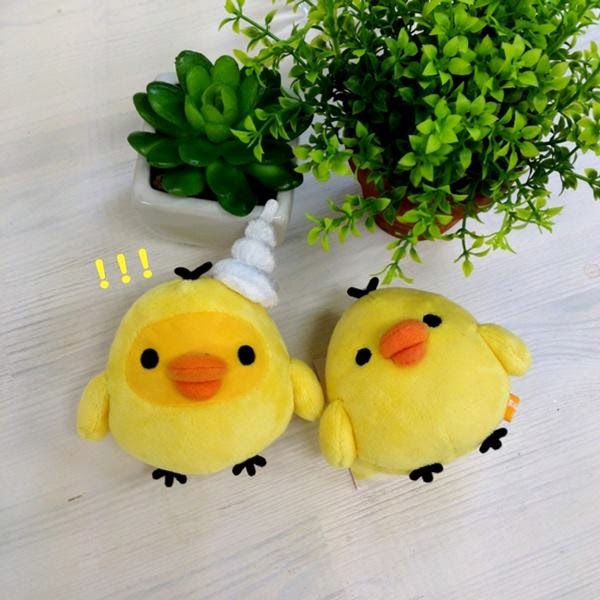 If you are interested in making a purchase for this set, Rilakkuma Shop is now having the pre-order for this along with other plushies. Click on the link below to place an order today! We will not be restocking this item after this pre-order.